Buying good-quality local meat can be very expensive and not always accessible for cash-strapped carnivores, locavores (people who like to eat local) and low-income urban populations. ‘Meat shares’ – clubbing together to buy a whole cow or sheep directly from the farmer – can be a cost-effective solution, providing you have the storage space for it. The Meat Locker is an initiative to get more people to buy meat from local farmers to strengthen local agriculture and economy by providing shared walk-in freezers to store bulk purchases. Inspired by a system popular in the 1940s, Matt LeRoux, an agricultural marketing specialist, launched The Meat Locker scheme with two walk-in freezers in Ithaca and Corning, NYC. 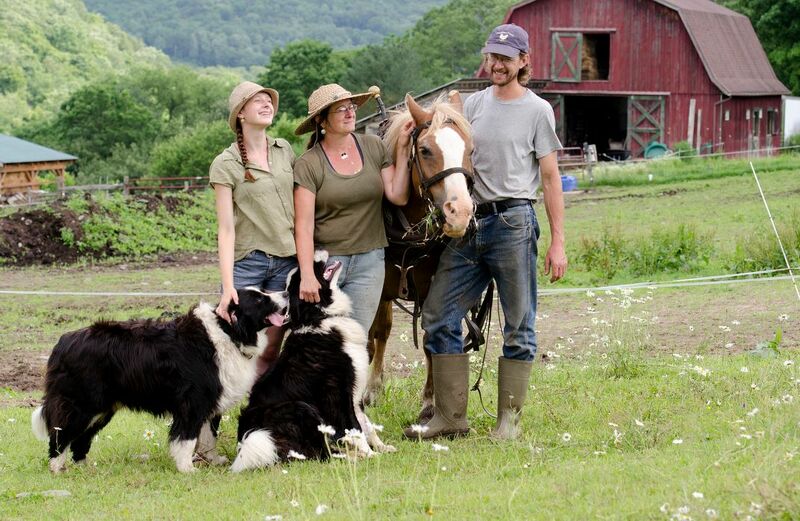 Through the use of a shared economy model to purchase meat, this preserves small farm viability. Tags: Agriculture, Animals, Community, Consumerism, Economy, Environment, Food, Sharing economy.